Coverups don't have to be mumus. 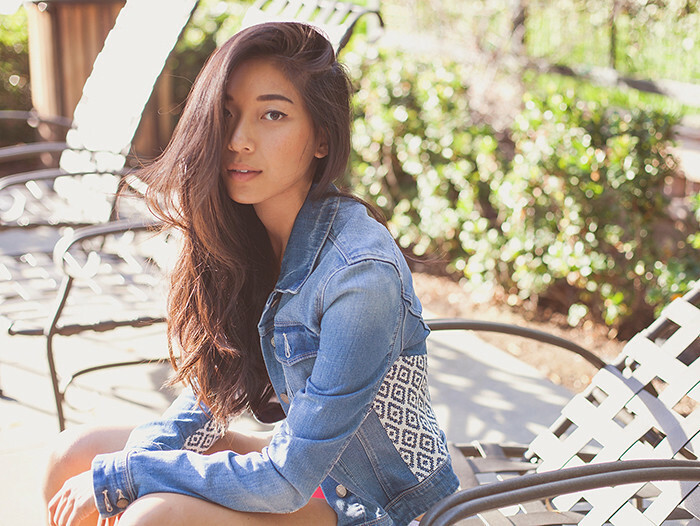 Paige Denim jacket. Basta Surf bikini. Go for a lived in denim jacket that screams summer like this one from Paige Denim, with its unique raffia mosaic embroidery that can turn any pool situation into a daydream of the Mediterranean. The jacket and bikini really compliment each other! Great choice! Love the back of the bikini top as well- I didn't expect it would look like that!